The Tower Rescue Kit provides a complete solution for rescue of an incapacitated tower climber or other person working at height. Built on a foundation of our 11 mm HTP, this kit includes the ANSI rated D4 autolocking descender and rugged anchor sling. The kit also features a unique textile spreader bar which allows for easy attachment to harnesses with hip rings, but no ventral attachment point. 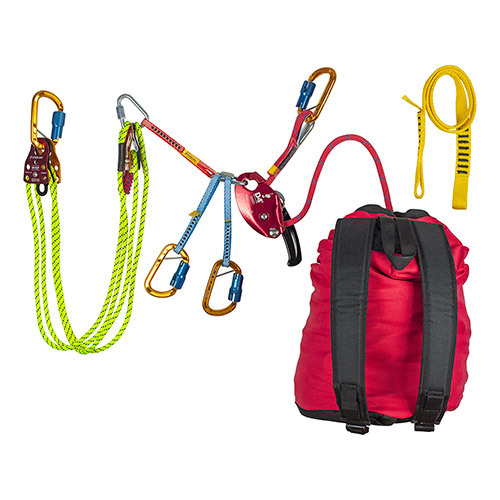 A prebuilt mini-haul system allows for easy transfer from a fall arrest system to the descending system.